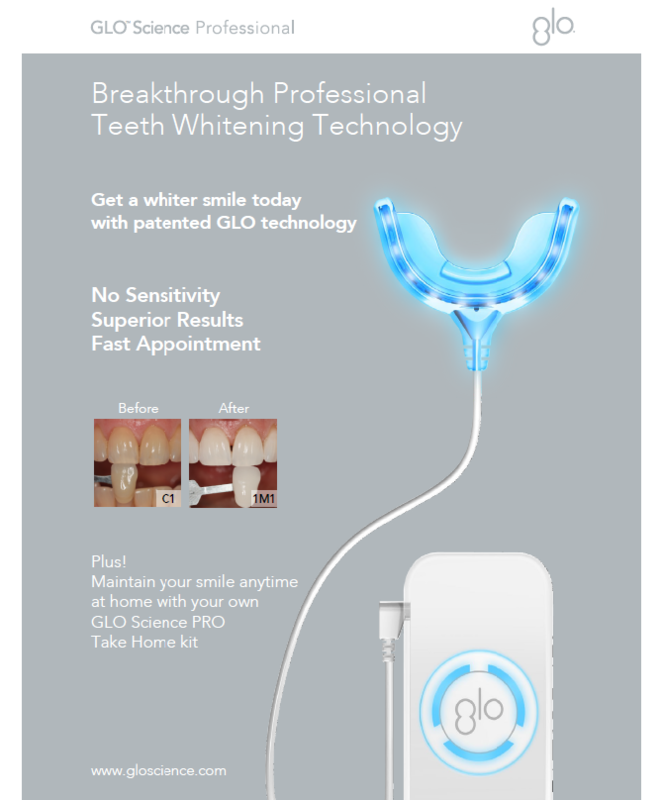 Evergreen Dental is pairing up with GLO Science to provide you the newest whitening system. GLO Science brings together breakthrough science innovations in oral care for you and the dental professional, guaranteed to make you smile!! Patented GLO (Guided Light Optics) technology combines optimal heat and light in a closed system mouthpiece to activate and accelerate the whitening gel formulation for safe, superior results with little to no sensitivity. We provide both in office and take home devices that are clinically proven to brighten your teeth 5 shades brighter in 5 days. Call Evergreen Dental for your customized GLO whitening treatment, and get ready to smile with confidence!